Bangkok is the capital of Thailand, a populated, lively country in South East Asia. Every year, thousand and millions of tourists from all over the world rush to Thailand to enjoy the beauty of Thailand. Thailand is a special country with unique attractions and architectures. The Angkor Wat with its mysterious, ancient vibe for centuries has not stopped amaze people and tourists. The street food that is famous around the world. The night market with dancing, special performances, and vendors that sell grilled insects. The temples and pagodas that are engraved with gold welcome many tourists every year who are interested and fascinated with the country’s Buddhism belief. The royalties are loved and respected everywhere in the country. There is no place like Thailand. Thailand is a country that pride itself on their tourism and service industry. Not only the people but the government also focus on promoting and improving their tourism services to be the best it can be. So traveling to Bangkok, the capital of Thailand means that you will get to experience the best of the best tourist services. Bangkok, being the capital of a country such as Thailand will not fail you as a tourist. With more than 8 million people living in the city, the rushing, crowded and exciting vibe of Bangkok does not lose to any other big cities in the world. The city never sleeps. 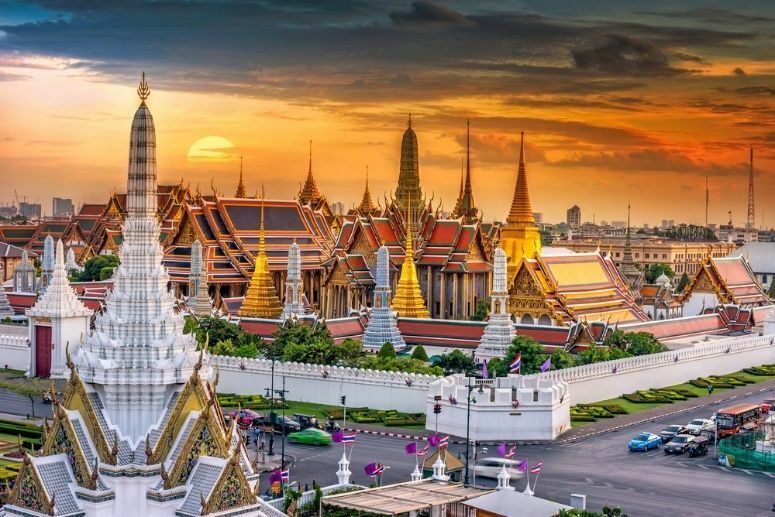 You can find something to do all day in Bangkok, whether it is waking up to the early sunlight with a Thai style breakfast or late at night when you are wandering on the street looking for a fun night clubs. Bangkok has its own. And one of the best ways to start off your Bangkok trip is a walking tour. This tour is for all the foodies who would like to try the most presentable and authentic Thai food when they are at the kingdom of Thai food. This tour will take you to Talad Phlu street and the Thonburi area in Bangkok to try out at least six different types of food, with the "menu" can be changed or added daily. The tour, of course, is free, but you will need around 300THB for food and drink during the tour. The group size is small, only 8 people per group. So you have to reserve before joining the tour. Below you can find more popular (but not free) activities and tours in Bangkok. Are you from Bangkok and want to be a tour guide? Please get in touch by submitting your details on this page!